It was inevitable: someone was going to write an entire short story via Twitter. Probably it’s already happened, but I’ve managed to ignore it because, hard as I try to be all with-it and trendy,*I…I just can’t help myself. I find Twitter ANNOYING. But when my friend Lorna sent me a link to a story on the Huffington Post about David Mitchell’s tweeted short story, “The Right Sort,” I paid attention. 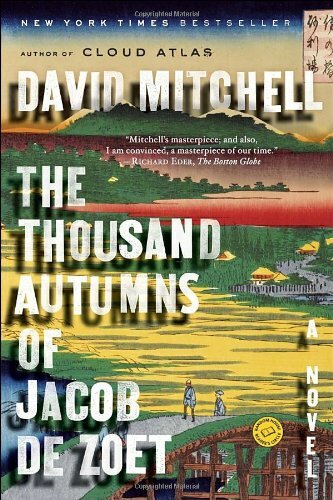 According to the Huffington Post, Mitchell began his Twitter story in July as a promo for his forthcoming novel, The Bone Clocks. It took him six days and approximately 270 tweets. Since “The Right Sort” is narrated by a teenage boy tripping on his mum’s Valium, the trippy little bursts that we call tweets are actually a perfect medium. I just hope other authors don’t think they need to try the method themselves. Are you listening, other authors? David Mitchell: yes. You: no. He can tweet whatever he wants. He can even tweet his whole novel if he has the digital fortitude. But you? Don’t even think about it. Except maybe you, Kate Atkinson. 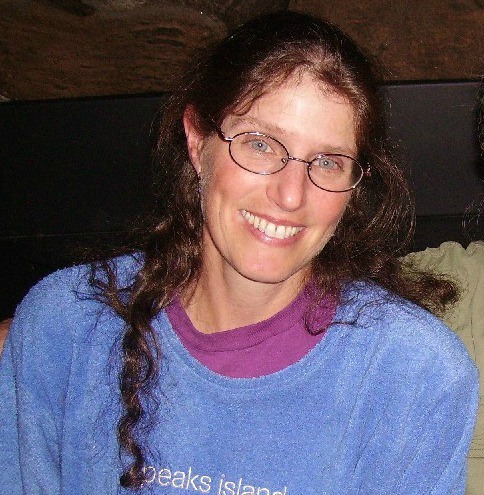 What do you think of the Twitterization of fiction? How about Twitter itself? Are you a Twit? Do you like to tweet? 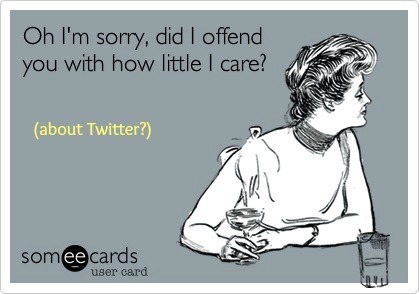 Or are you as yet untwitterized? Hey, I’m in danger of turning into a curmudgeon and I need your help. It may already be too late. 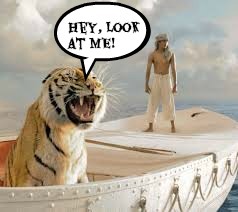 I keep wondering why they had to make Life of Pi into a movie. Oh, I know. It came out ages ago. And no, I have not seen it. So why even bring it up? Well, see, last month I finished reading Cloud Atlas. 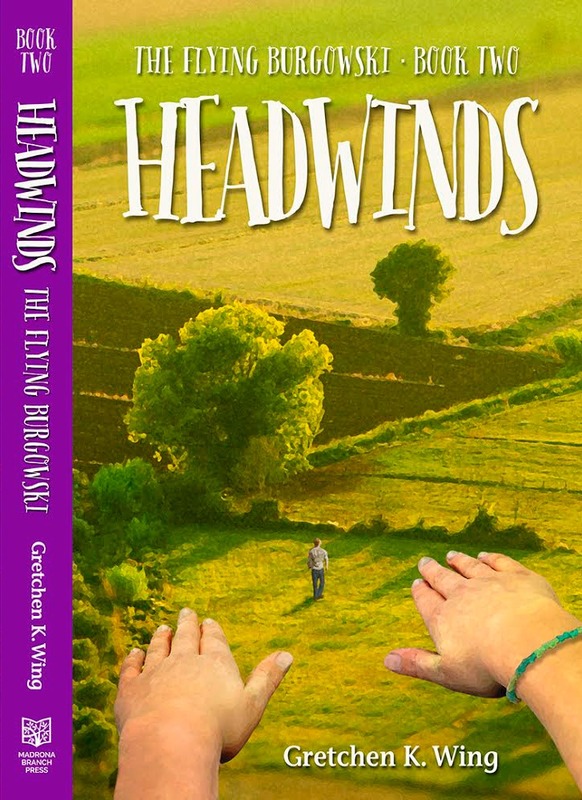 I can remember my reaction, because I wrote it into my journal, though I cannot reproduce it here verbatim: “effing BRILLIANT.” Then I recalled that the reason I had read it was that my book group grew curious after the movie came out last fall, and that started me wondering: why make a movie out of this book? 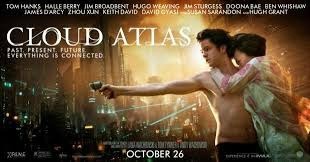 The whole brilliance of Cloud Atlas is in its narration. The nested stories, jumping ahead in time, then falling back, revealing hidden connections, stimulating thought And yes, I know that stories told visually can do this too, but they miss a key element: writing style. 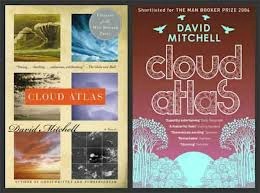 The way that Mitchell’s style changes with each of the six stories is what raises Cloud Atlas above the level of a great story, and turns it into something scintillating. The potboiler tone of Luisa Rey’s tale, which we later learn is the manuscript of another character; the painfully gorgeous imagery of Sonmi 451 as she discovers real life; Zachry’s chopped and stunted syntax in the brave new tech-less world of the future…how can a movie capture these? I remembered thinking much the same thoughts when Life of Pi came out the year before. 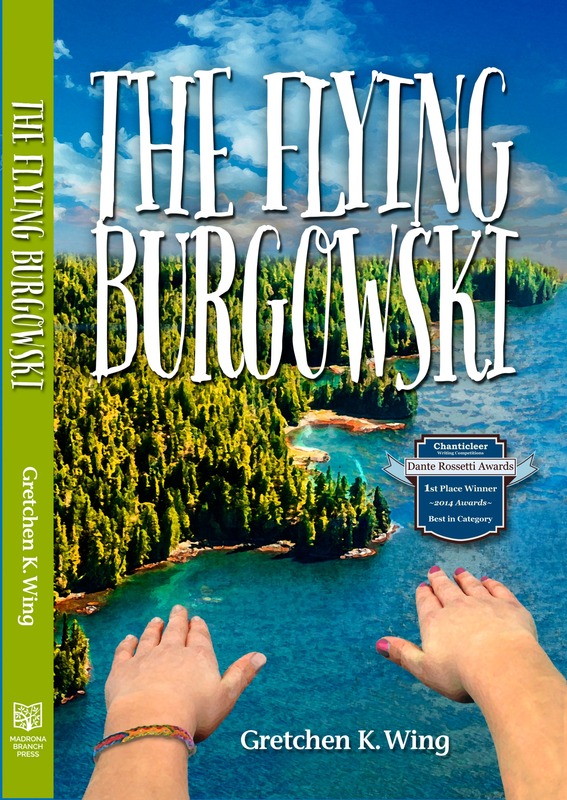 That book captured me with its tricky narrative, the way the truth of the story itself is left hanging at the end. The way the whole thing begins as a memoir and only gradually reveals itself as a novel (or maybe I’m just slow). Yes, the visuals must be stunning. Didn’t it win an Oscar for that? (Note to self: start caring enough to google that.) But Life is Pi is way more than visuals. If folks only see the movie, they’ll get something out of it, no doubt. But if they see the movie and forego the book, they’ve missed out big time. I can certainly think of some books which were vastly improved by becoming screenplays: Schindler’s List and Chocolat are two that come to mind (the latter written by my college roommate’s husband, Bob Nelson Jacobs :)). But I need some convincing here. 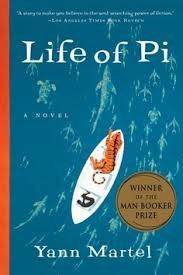 Life of Pi–worth the celluloid (or pixels, or whatever they use these days)? Cloud Atlas? Can you think of other movies which add to the impact of their original books, or even surpass them? Or do you, bless your heart, actually agree with me? Are you a curmudgeon-in-training too?